When you’re a music producer, you know that finding a pair of good headphones for mixing is essential in providing the daily comfort of your work, because you use them a lot. Finding the best studio headphones for mixing is, however, a difficult task. To help you with that, we had a critical look at the most appreciated models on the market and we think that the Sennheiser HD 650 is the one that you should look at first. It provides large and comfortable earcups and you will forget that you are wearing them. The fact that they are open back means that the sound will be very natural and they will also provide a constant volume across all registers. If you can’t find them for sale, you should also search for the Audio-Technica ATH-R70x model. The large earcups mean that these headphones will sit comfortably on your head for a long time. They are an open-back model and that translates into the sounds being as close to natural as possible. That is how they are able to offer a consistent volume in the tune, no matter what the frequency is. They are a bit too bulky and heavy for the average user. That could mean that if you wear them for too long they become uncomfortable, especially for the top of your head. Being an open-back model, these headphones are capable of offering the open sound that studio mixing requires. Design-wise, these headphones are very interesting, with the slotted headband and the lightweight materials used making them light and comfortable. They do best when plugged in a studio mixer and their strongest point when it comes to delivering the sound is the bass, which has a nice bump. The markings that should identify the left and right headphones are too small and it’s a bit annoying to always try to put them on how they should be. Lightweight and with a unique design, these headphones let you focus on the mixing details due to their strong bass and treble sound. The fact that they are very small and don’t put too much pressure on the head means that these headphones can be worn for an extended time. Because they are not fully isolated, being open-back, they let the music flow and that produces natural sounds. You can hear all the details in the song you are mixing. These headphones lack a bit in the high-frequency compartment, meaning that the person doing the mixing will find it more difficult to isolate high sounds. This model excels in producing the mids, something that is needed when mixing. The imaging that they offer is also a great feature. We wanted to make it easier for you to choose between all the alternatives and that is why we wrote these reviews of studio headphones for mixing. Each model has its unique characteristics and depending on what you want more, you may prefer one or another. These headphones have been designed with decently sized earcups to ensure the highest comfort. They aren’t too tight on the head and that reduces the clamping feeling that you get after a long day of listening. But that also makes them not so stable on the head. Because they are an open-back design, they aren’t suitable for being used outdoors. However, that is not why you want them. You need open-back headphones because they offer a more natural sound, which is essential in studio mixing. They offer a consistent and punchy bass-line, making even a beginner bass guitar sound great. The mid-range is balanced, as well as the treble, and every frequency is clear sounding. That is why they are versatile, but they do best when mixing rock, classical, folk, or other voice-intense pieces of music. Looking at these headphones, you will notice a unique design, that is a lot different from those of their siblings, the closed-back models. They even differentiate from open-back headphones due to the headband that has small padded legs on it. Also, the band connecting the two earcups is made of slotted metal. They are thus one of the lightest models and they will sit comfortably on your head for a long time. You can operate them using low power sources such as a USB input. But they do best on mixers, where they can really put their volume and clear sound into play. In terms of sound, the headphones are characterized by a stronger low bass sound and treble. This makes it easier to focus on mixing details, but if you use them for listening to the finished song they may produce high-frequency noises. Design-wise, this model is a small one, a compact variant that has a sturdy and quality feeling. They are breathable and not too tight on the head, which makes them highly comfortable. Their smaller size also means they are lightweight. They are an open-back model that offers an extended bass, a strong mid-range and a well-balanced treble. Depending on how you position them on your head, the bass may sound different, but they are still consistent. Because they are open-back, they offer the clear sound needed in mixing and that is how their distortion and imaging performance is well above the norm, which is great. Isolation is not great, so you need a quiet room when using them. But that same aspect transforms into the advantage of you being able to hear every detail in the track you’re mixing. In terms of connectivity, they offer a standard connection through a ¼-inch jack plug. You might be surprised to find out that these headphones and cars have something in common – the Alcantara, a suede-like material used in car seats. This fabric feels so comfortable when covering your ears. Unlike other models on this list, these headphones are a closed-back model, but they offer enough room for you to feel cozy wearing them. Although closed-back, they offer an accurate and natural sound, and they do well on basslines and upbeat songs. 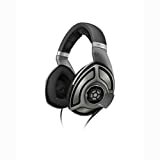 They are able to offer such clear sounds due to the neodymium drivers that they have. These drivers help with delivering a holistic performance. Acoustic guitars will sound great on them. You should know that when using them, you will feel that the mids are the most pronounced. The highs are also very emphasized and if you like that, it’s great, but if not, you can’t avoid it. However, the imaging is great, meaning that you know when a certain instrument is playing and you can position it in space. Although the headphones are really robust in design, they are surprisingly lightweight. They tend to have a central point in the middle of them where all the weight pushes down but they are comfortable nonetheless. They are an open-back model, but, compared to other such headphones, they don’t produce too much exterior noise. Their tonality is pretty neutral and thus providing a clear sound. However, they tend to have a slight bump in the midrange, while the bass sounds aren’t as loud. High frequencies are well represented. They don’t sound too dry or cynical but offer you the possibility to feel the music while mixing. The great advantage that these headphones present is that they allow you to identify and listen to all the instruments and you are able to separate them in the composition. Given that the midrange is the greatest characteristic, these headphones are great for listening to vocals and instruments. The experienced users would see that there are certain similarities in the design of this model and that of the AKG K240. Although the material of choice for making these headphones is plastic, that doesn’t give them a cheap appearance, and, more important, it still means that they are well made and durable. Most studio mixing headphones are open-back, and these ones are no exception. Of course, they don’t offer much isolation but that is not their purpose. The vinyl headbands, which are highly adjustable, create the stability and comfort needed and the around-ear cushions make things comfy too. When listening to the sound they let out, these headphones are impressive. They are airy enough and let the sound have a neutral feeling. The lows, mids, and highs are very well balanced and the consistency offered is surprisingly good. They do require a good power source to work well but once they have it, it’s all good. The matte-black finish and the light grey touches give these headphones a special look. Because they have a couple of 40mm drivers, the earcups are quite large, but they aren’t too clumsy. They are airy enough and that is why they don’t really heat up and they have been designed with the concept of being used for long hours, so they’re quite comfortable. Large drivers also mean more powerful bass. 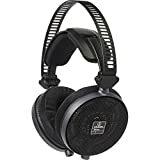 But when making studio mixing headphones, you don’t really want the greatest bass, but the most accurate, thus these ones are built to offer good quality throughout the frequencies. The midrange is clear, and that is the most important aspect when mixing tracks. The highs are also accurate and detailed. If the initial recordings present any harshness, that will be heard, but the headphones don’t create any additional unwanted sounds. This model trades comfort for stability and you may need to sometimes keep your hand on them to hold them on your head. The large and circular earcups that this model has are very well padded and thus extremely comfortable. The band that goes across is adjustable and it helps the user with putting less pressure on the head, but with the disadvantage of making them slightly less stable. They don’t have any audio controls, but you can adjust that from your mixer. Due to the flexibility of the headband, they are able to withstand a fair amount of physical stress. As any studio mixing headphones should, these ones offer the constant performance needed and the mid, lows and highs sound great. Because they are open-back, the bass lacks a bit of bump, that you usually hear in headphones made for listening to music. Experts say that this pair offers great critical listening potential. That means that the headphones are well suited to identify all the different instruments and the spacious design offers the user an expansive soundstage. In terms of design, the build of these headphones is entirely plastic, with the exception of the metal bands suspending the ear cups. That means they aren’t the most durable. But they are very comfortable and that is due to the memory foam padded in a fabric called velour. That is why they give a plush feeling when worn. When discussing connectivity, these headphones don’t offer anything crazy, just a classic 3.5mm connection with the possibility to attach the ¼-inch adapter to that. Although they don’t particularly excel in other departments, they are great when it comes to the sound they can produce. The lows are not too powerful, and they offer the sound needed for mixing. The mids and highs are really great too, letting you hear the perfectly emphasized vocals or the clear instruments. Having a not-so-powerful bass is essential in these situations because it lets you listen to all the other aspects better. You can find all the qualities needed even when using cheap studio headphones for mixing. 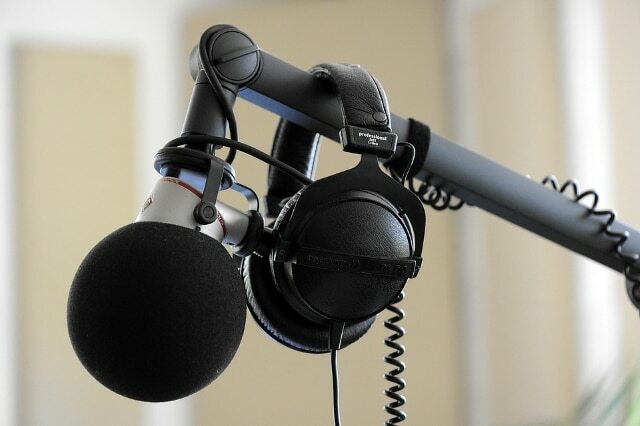 But, to find the best choice for your studio, you will need to know how to differentiate between headphones. Here are some aspects that we consider to be important when choosing a pair for studio mixing. There are two main design types that you can find when looking for headphones for mixing. One of them is the circumaural, or over-ear model, and it’s the most popular. They are the most used because they cover the whole ear, offering more comfort. Additionally, they provide a better isolation. They aren’t as portable and they can be a bit bulky, but that is also because they aren’t made to be taken on the road but rather used in the studio. To ensure that your headphones provide you with the most comfort, look for ones with a padded headband. Most of the weight is concentrated there. The supra-aural design, or on-ear, is the other option. They are used by those that look to carry them around more and that is why they are manufactured using lightweight materials. In studio use, they are sometimes better than the previously mentioned type, because they are airier and allow the sound to disperse better. They thus provide a clear tone. Comfort-wise, they don’t make your ears sweat, but if you wear them for too long, they can make you feel like your head is clamped. You can also choose in-ear headphones. Because they are so small they don’t offer the quality of their bigger brothers. But they are good for listening to the end product of a mix, like a normal listener would. Probably the most important decision to take when comparing headphones is the choice between open or closed back models. And experts say that open-back is better when mixing in the studio. That is mainly because they let the sound get out more, instead of compressing and distorting it in a tight space. With these headphones, you get an “around” experience, a stereo one, where you feel that you can imaginarily place all the instruments and singers around you. The sound is also more natural and accurate. That is why they are a good studio companion when you want to mix. If you want something that offers a similar experience when listening, you can also purchase some monitor speakers. Also known as sealed headphones, the closed-back ones offer the most isolation. They allow you to concentrate on what you’re listening to, as they reject all exterior noises. That can be an advantage if you are in a noisy environment, but they don’t really let the sounds flow out and that produces a distorted music. Also, instruments might be hard to determine using these headphones. Such studio headphones are good when used for the actual recording part. Talking about that, you will also need some good studio recording microphones to get the best out of your vocalist or instruments. When mixing using a pair of headphones, an important thing to consider is how accurate their frequency response is and thus how good the sound will be. Mixing headphones should allow you to hear everything and that is why they should be very precise. Although some pairs offer a great, colored sound, that is not a good thing for mixing. Sweetening is the term used for this process of making the music sound better. But you don’t want that when you’re mixing. You need something that produces a sound as natural as possible. When you’re critically listening to the tracks, you need a flat frequency response, one that levels all the sounds, so that you can make precise adjustments. Maybe counterintuitive, a pair of headphones that makes everything sound nice is an indicator that they are not accurate. Instead, a good set of headphones for mixing should point out things that you didn’t hear before in a song. The mid frequencies are the most important when discussing sound quality. Most of the instruments and the vocals can be placed in their region and that is why the mids need to be as precise as possible. A good pair of mixing headphones is one that has a frequency response as flat as possible. That means that the sounds and their volume are consistent, no matter how high or low they are and that greatly helps the one that uses them. But if you’re looking for something affordable, that quality can only be found in the best budget studio headphones for mixing. If you’re just starting your musical career, you need some good quality home studio mics to record everything and a great midi controller keyboard to put some color into the music.